Is your website optimized for search; where do you rank on google? 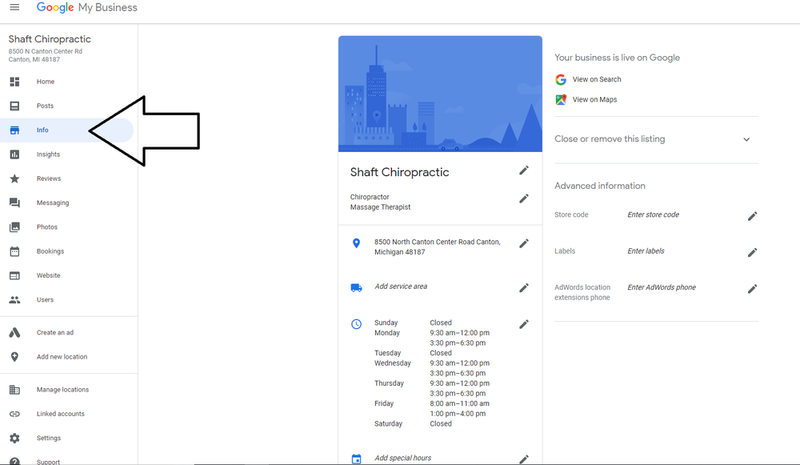 When you do searches for “chiropractic your city,state”, “your name, city, state”, chiropractor near me etc you can see where you fall. But you must keep in mind, the factors below will effect your search results. The phase of the moon (not really, but with Google you never know). “It’s unclear what Google’s formula is in the order of listings that it displays; however, generally speaking, the paid advertisement listings go on top, followed by a combination of highly-rated and nearby businesses, followed by unrated or low-rated businesses. It’s a good idea to communicate with your customers and urge them to leave you a rating if they were satisfied. Will there come a day where you can pay for a higher spot in Google local or maps results? Probably, but that day hasn’t quite arrived yet and you can’t put a price tag on quality customer reviews. Keep working on building up your reviews and relevancy anyway. Work with your website management company/person to determine a strategy to increase your search results if you aren’t in the Top 3 pack or on the 1st page. You will also want to ensure a strategy to maintain your spot. Easily, navigatable dashboard to ensure your info is up to date. We recommend adding images and a Google Post to your listing. NAP Citations on your site and other local/relevant online directories. Use a relevant image that matches your text. Pick a good file name for your image. Make sure image dimensions match the image size as displayed. Reduce file size for faster loading. Add a caption, if appropriate, for easier scanning of the page.